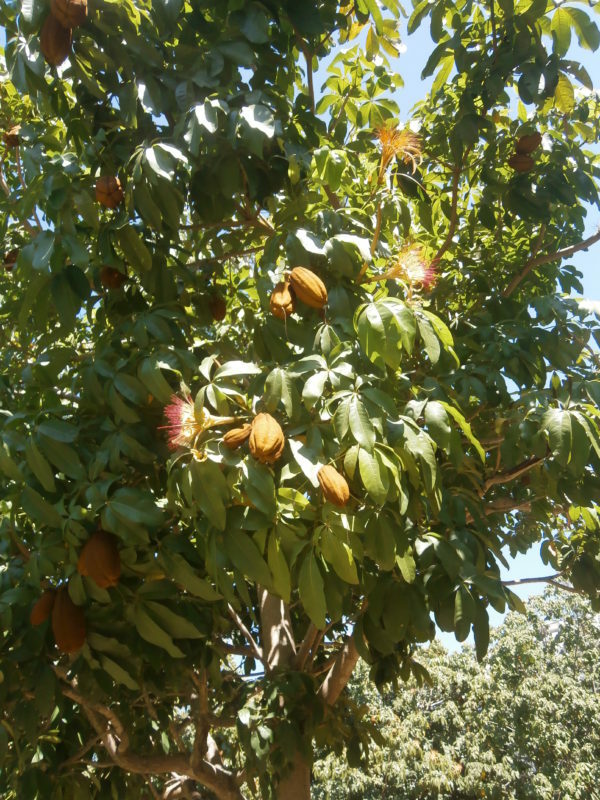 For a long time I did not know the proper name Pachira aquatica, money tree, Malabar chestnut, French Peanut, Guiana chestnut for those trees growing in my Thai and Lao garden. I had first seen that fast growing Pachira aquatica tree in Caracas,and called mine at Discovery Garden Pattaya and Nong Khai “Caracas nut”. Only when I showed pictures of Pachira aquatica on my Facebook account a reader in Iran could identify that interesting tree. 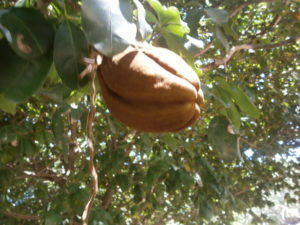 During the rainy season the Pachira aquatica trees let their woody seed pods fall to the ground with a big bang. They release their edible nuts and start growing very quickly. 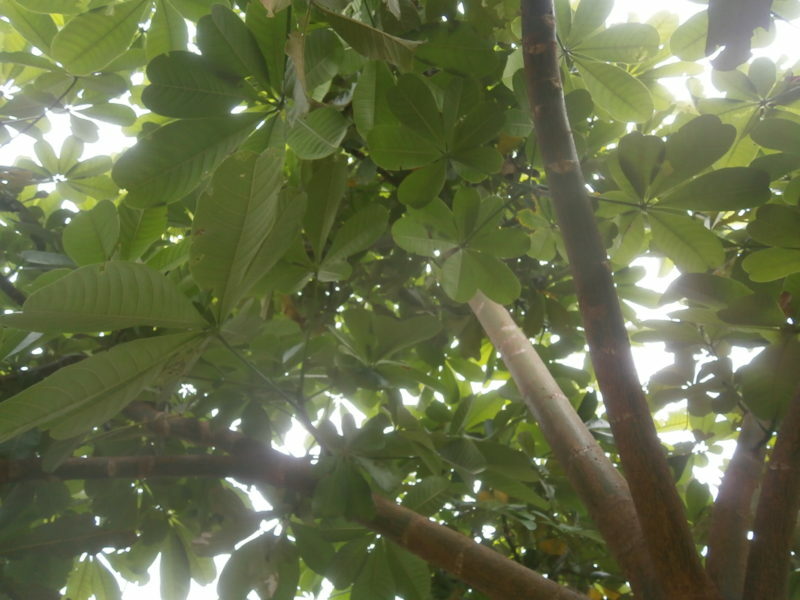 Leaves of Pachira aquatica can be eaten as well as the flowers and the nuts which have a peanut- or chestnut-like taste, besides this beautiful tree is an asset for every garden in Thailand, Laos or Asia in general. Like cocoa seeds, the nuts of Pachira aquatica should only be planted no deeper than half a centimeter, since the roots grow quickly and lift the content of the nut up. 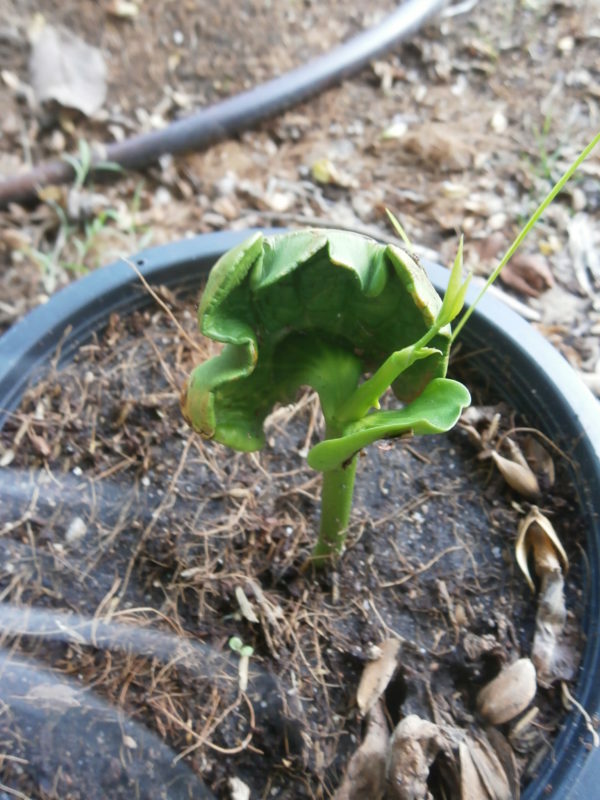 If buried too deep the “neck” of the young money tree plant is broken. As soon as the whole Pachira aquatica nut has opened up first leaves a branch or two grow out of that green mass. Pachira aquatica trees are tropical wetland fellows that will thrive in many circumstances, but need a lot of sun. 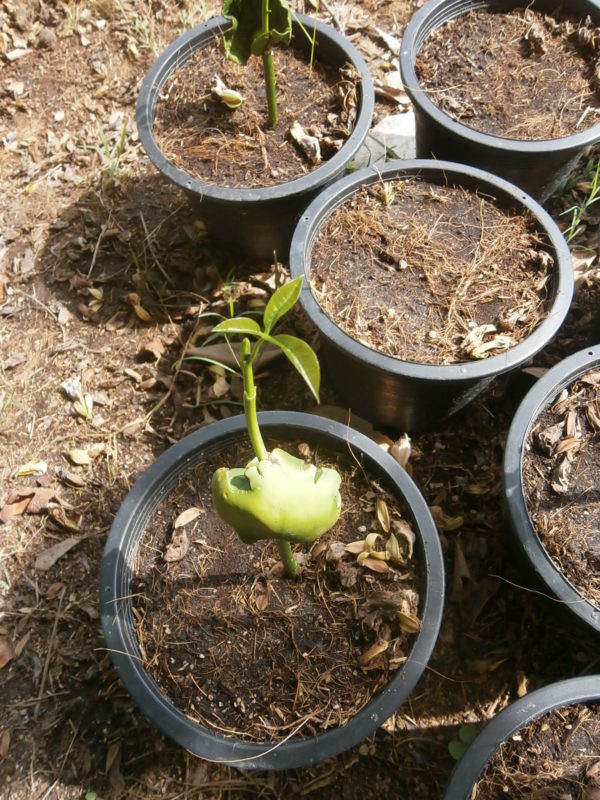 At Discovery Garden Pattaya and Nong Khai we have a few money trees for display and sale. The name money tree is explained as follows: A poor man once was praying to become rich and then found a Pachira aquatica tree. He took home the nuts, grew seedlings from them and by selling the fast growing seedlings indeed became rich almost over night. This entry was posted in Uncategorized by Hans Fritschi. Bookmark the permalink.